This member of the Tecophilaeaceae family was given this name by the younger Carl Linnaeus in 1782. It is found in southern South Africa, and some climes in Botswana and Namibia as well. It growing in sand or another well drained soil with some water and lots of sun. 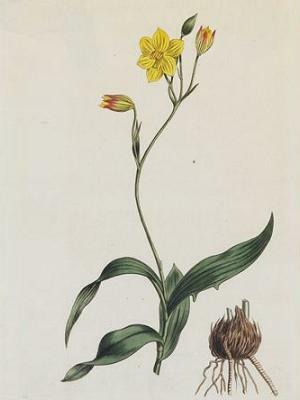 The bulbs can grow to three centimetres, the plant from twelve to 25 centimetres and 40 with the inflorescence, bearing the usually yellow but sometimes slightly pink flowers. This can be a winter grower, but will grow in summer as well.